중국 상해에서 2018년 12월 28일부터 2019년 1월 6일까지 총10일간 정용화의 사진전 [사색, 4色]을 개최합니다. 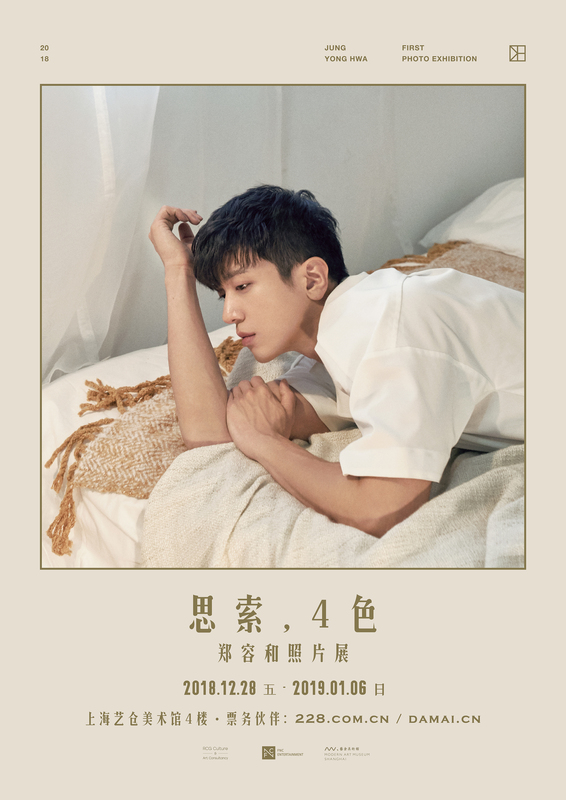 Jung Yong Hwa’s photo exhibition [The Consideration, Four Colors] will be held for 10 days from December 28th 2018 till January 6th 2019 in Shanghai, China. Please show your interest and support.